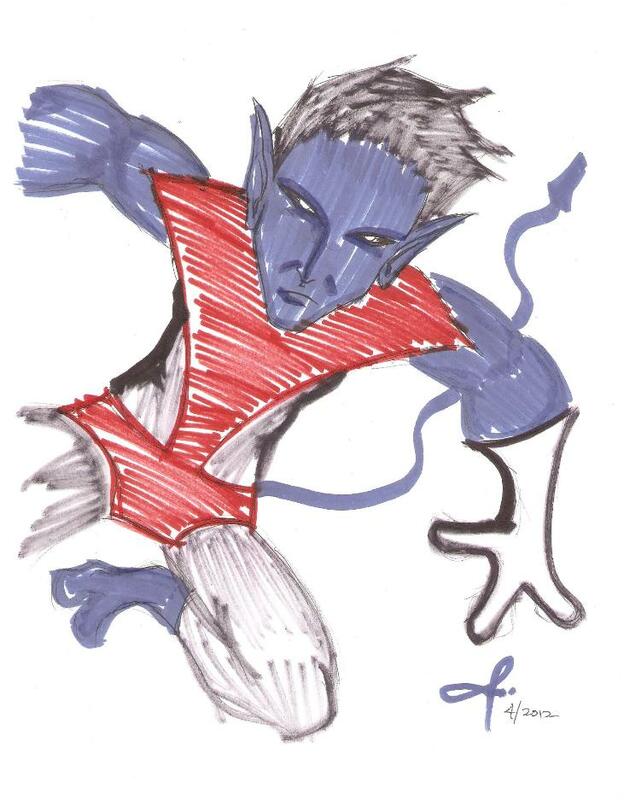 Born to a demon, claiming to be the inspiration forSatan, Azazel, and the shape-shifting mutant terrorist, Mystique, Kurt Wagner was abandoned at birth, due to his demonic appearance, and raised highly religious by circus gypsies. Born with a unnaturally gymnast level of agility and later the ability to teleport, Kurt became a high wire wonder, until a violent mob drove him from the circus. Saved by Professor Charles Xavier, Kurt joined the X-Men and has been fighting for the peaceful coexistence of mutants and humans most of his life. After being injured by Riptide, Kurt overexerted himself battling Nimrod and fell into a coma. Upon waking from his coma, Kurt believed that the X-Men had all died and he, with the two other surviving X-Men, founded Excalibur. Kurt matured to the point of leading Excalibur, but eventually returned to the X-Men. For a short time, Kurt left the super hero life to become a priest, but again returned to the X-Men. After the return of Hope Summers, Kurt was killed by Bastion, while sacrificing himself to return her to the X-Men headquarters on Utopia.